Whether you are coping with the death of someone close to you, pondering what might happen at the end of your own life, or contemplating the mysteries of consciousness, relevant information about these issues from credentialed scientists is needed now more than ever before. Our culture is witnessing the beginning of the end of the largest generation in US history: Baby Boomers have already begun to lose spouses and friends. The members of that generation and people of all ages need a credible source to help distinguish evidence-based information from speculation and sensationalized claims. The Windbridge Research Center strives to be that source. Science is not a body of knowledge; it is a set of tools for answering questions. Those tools can be applied to nearly anything, even controversial topics like life after death. Empirical evaluations of the effectiveness of methods aimed at reducing anxiety related to the fear of death. Understanding the nature and prevalence of end-of-life experiences. Empirical evaluations of treatments for grief. Understanding the practices and abilities of practitioners. Currently, our research is mainly focusing on people who report experiencing regular communication with the deceased (mediums) and those who receive mediumship readings (sitters). Regardless of what one may think about mediums, people are receiving readings from psychic mediums every day. That fact alone makes it a phenomenon worthy of rigorous scientific study. Despite mediumship’s popularity with the public and coverage in the media, there is very little credible research available. Scientific research on topics like life after death and communication with the deceased faces an on-going struggle against a scientific paradigm bent on denying people’s extraordinary experiences and challenges current ideas about the mind’s relationship to the brain. Julie Beischel, PhD received her doctorate in Pharmacology and Toxicology with a minor in Microbiology and Immunology from the University of Arizona in 2003. She serves on the scientific advisory boards of the Rhine Research Center and the Forever Family Foundation. Following the suicide of her mother and an evidential mediumship reading, Dr. Beischel forfeited a potentially lucrative career in the pharmaceutical industry to pursue rigorous scientific research with mediums full-time. She uses the interdisciplinary training in the ‘hard sciences’ she gained during her education to apply the scientific method to controversial topics. Her current research interests include examinations of the accuracy and specificity of the information mediums report as well as their experiences, psychology, and physiology and the potential social applications of mediumship readings. Dr. Beischel is the author of the e-books Among Mediums: A Scientist’s Quest for Answers and Meaningful Messages: Making the Most of Your Mediumship Reading and editor of the e-series From the Mouths of Mediums: Conversations with Windbridge Certified Research Mediums. She is also the author of the paperback book Investigating Mediums. Dr. Beischel is aided by a small, but dedicated group of volunteer research assistants. Members of the Center’s Scientific and Clinical Advisory Boards are available to provide expert opinions to ensure the quality of the research. 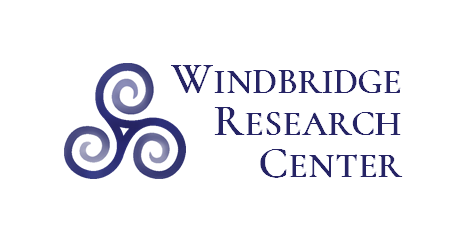 At the Windbridge Research Center, our mediumship research primarily studies mediums whose abilities have been demonstrated under controlled laboratory conditions. It is necessary to work with participants who are able to effectively and repeatedly provide readings in various research settings. Upon successful completion of eight screening, testing, and training steps (detailed here), the mediums become Windbridge Certified Research Mediums (WCRMs). Each WCRM agrees to donate a minimum of four hours per month to assist in various aspects of the research and to embrace a strong commitment to the values of scientific mediumship research. For a list of WCRMs, click here. Recently, we have also begun collecting data from self-identifying mediums all over the US about their potentially unique demographic, historical, cognitive, psychological, physiological, biological/genetic, cultural, and phenomenological characteristics. The Information Research Program examines the type and accuracy of information reported by mediums. The Application Research Program explores socially relevant uses for mediumship readings and information. At this time, our main focus is on the potential therapeutic effects on grief of assisted after-death communication during readings with mediums. For more information about these programs, please see Dr. Beischel’s article, here. Results from our research are not left to linger in scientific publications that may be difficult to obtain or understand. 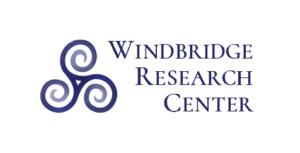 As part of our mission, the Windbridge Research Center is dedicated to getting our discoveries into the hands of the people who need them the most. Through our education efforts, we create specific content tailored to meet the needs of practitioners, clinicians, scientists, and the general public. You can visit our Education Center here.